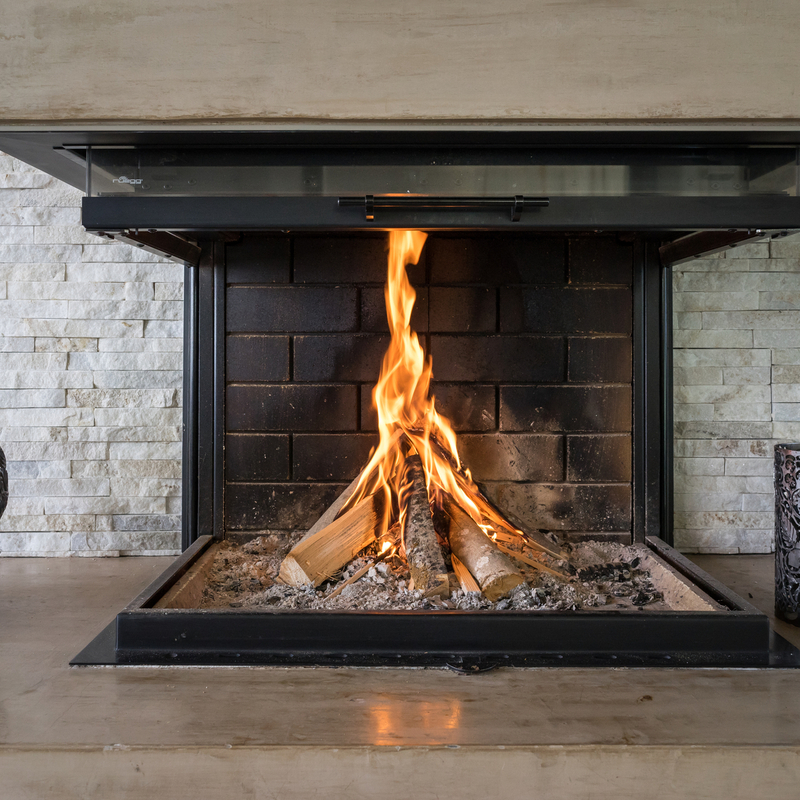 It’s high season for firing up that hearth, but before you do, you’ll want to make sure its in perfect working order. Taking a little time to clean up your fireplace can mean the difference between a cozy evening making S’mores and a long night of fighting extra smoke and soot. Here are our top tips for getting your fireplace back up to snuff for the season. Remove extra ash, but leave an inch or so in the bottom to help with starting fires. Make sure that you don’t clean your fireplace until at least 72 hours after you last used it, and when you do clean, make sure you’re protected. Don a dust mask, rubber gloves, and goggles to keep yourself free of toxins. Before you treat the hearth, check to make sure that your damper is working well too. Put a tarp down around the hearth so you keep your living space free of dirt. Then, remove fireplace grates, carry outside, and wipe them down there. Remove soot from doors or hearth area with either soap and water, or, for really tough areas, whip out the razor blade. Concrete is best treated with oxygen bleach, and use a specialty cleaner for brick. Remove all debris from around the chimney and trim back any tree limbs that may be encroaching on it. Scour the chimney for loose bricks, cracks, compromised mortar, and general disrepair. Once you’re down from the roof, ensure that the wood you intend to use is stored correctly. Experts recommend that it’s kept high and dry for six months before use. What else can you do to guarantee a perfect night before the fire? Make sure your smoke alarms are working. Invest in a chimney sweep who will keep things fresh by doing a full sweep once a year. Replace any fireplace essentials that may have gotten a little rusty, like fireplace guards and tools. Do a test fire by lighting a few bits of wood at first from the top down and confirm that the smoke exits upward through the chimney. If you can check that box, you’re good to go.